New portrait by Robert Lowth? An oil painting has just shown up that might very well represent Robert Lowth. Though the painter is currently unknown, the portrait shows clear similarities with the one that you normally see when you google for images of him. Once restored, the portrait will be put up for sale. As there are very few oil paintings by Lowth available, there might be considerable interest in the portrait. If you wish to acquire the portrait, please reply to this post in the form of a comment. Comments don’t go online automatically, and they will be treated with the greatest conficence. 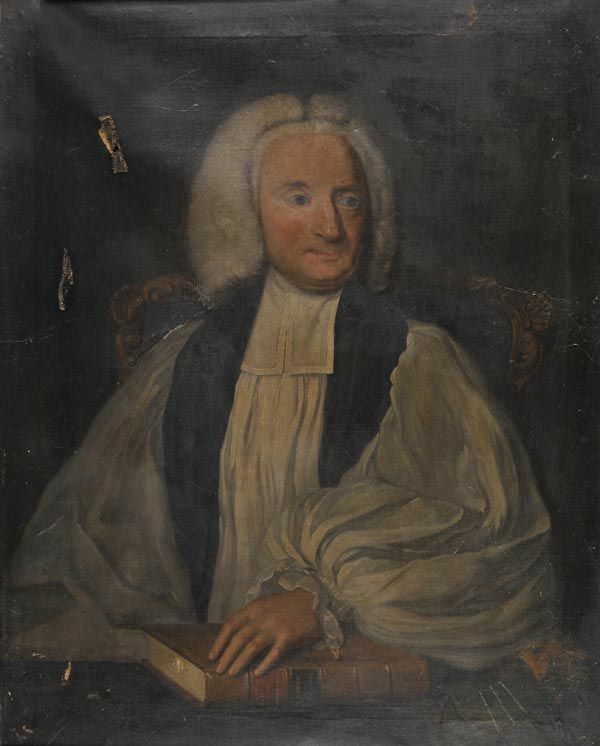 This entry was posted in Lowth and tagged eighteenth-century oil painting, Robert Lowth. Bookmark the permalink. 2 Responses to New portrait by Robert Lowth? Hello. 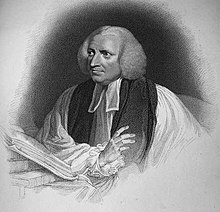 I gather that Robert Lowth was Rector of Sedgefield for a time around the 1750s; a copy of the more well-known portrait of him hangs in the vestry of Sedgefield Church. I have seen this myself some years ago, and it apparently remains there. Another portrait! What exciting new. Thanks for letting us know.